Did you read the title to this Blog in a Geordie accent? Yesterday was the first day of the Cheltenham Open Studios and we had people popping in while out buying milk because of the signs and bunting, so thankyou to the people on the committee who organised the designers. Will Sunday be quieter? The fantastic thing about an event like this is that the public can see how and where artists work. Now to be honest this space feels tidier when standing in it than it looks in this photo and I have squeezed 5 people in here to do a taster collagraph workshop. 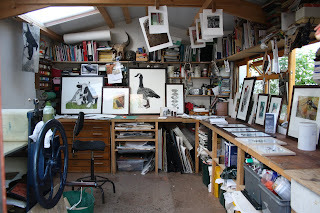 If nothing else Cheltenham folk will know what a collagraph is and how it is made...then I unlock the shed door! Your studio looks brilliant! Good luck with today - hope lots of visitors come your way. Thank you Sue for a fabulous open studio experience. the lounge gallery looked professional, the work was easy to see and enjoy. It was easy to imagine how a piece would look in your own house. 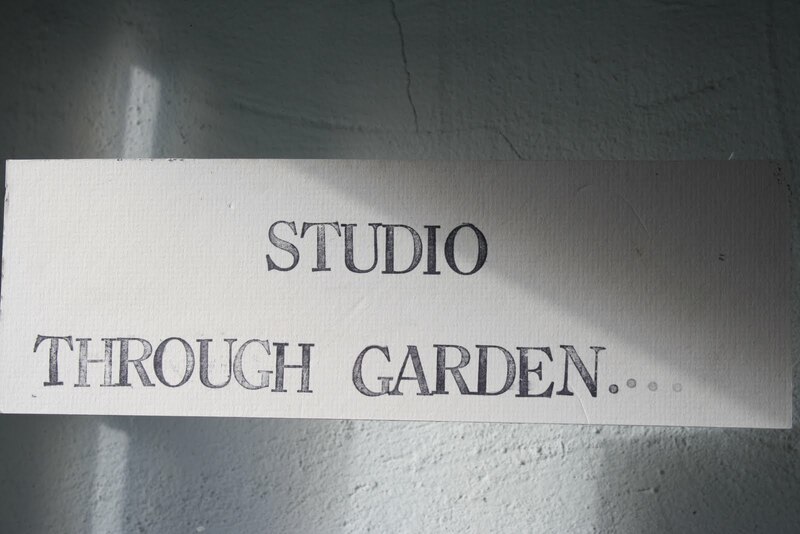 The garden was stunning, so much of interest, and your studio is real a treat. 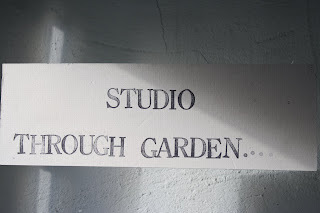 As a regular open studio visitor I can recommend yours as one of the best open studio experiences we've had - fiendly, interesting and superb quality work. Wow, Wendy is a happy visitor - I think that says even more than your lovely photographs (I wouldn't mind being locked in your 'shed' for a day or two!). I hope you get lots of interested people today. So glad it was a success. How could it fail? Our plans changed and we did not head your way. I would love to see your house decked out as a gallery! Not sure if you remember me...i'm bex and along with my friend alex popped into your studio this afternoon.i'd just like to say a huge thankyou for oprning up your house and studio.your work is wonderful and I left feeling truly inspired.the beetle spoon I brought from you is up on my wall right next to my notice board.im hoping to do a blog post either tomorrow or the day after so if you want please pop ovwer to my blog to take a gander.